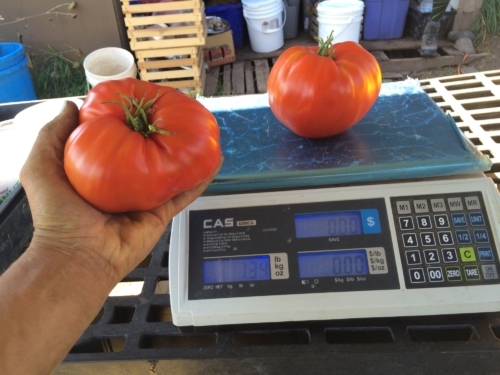 A huge red tomato that resembles an oversized roma. The flavor is rich and makes a great sauce. 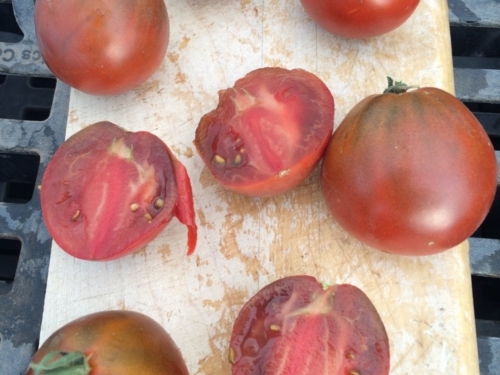 A meaty tomato that can pull double duty as both a slicer and sauce tomato. The tomato is very early for a large tomato and was one of the first to produce in our 2016 trials. A real work horse for our farm.